Click the button below to add the Psoriasis Soften Body Serum #Skin Products# to your wish list. Have you tried all of the medicated or by prescription psoriasis creams and lotions without relief? Is it possible that the ingredients in these suppress your symptoms and eventually your skin flares back up? Ingredients such as Coal Tar and others can have side effects. Is our Soften Body Serum a cure? No, it is not a cure for psoriasis or eczema, but it may be able to help where others have failed you. Ordinary creams and lotions are made with ingredients that may aggravate your symptoms from psoriasis or other conditions and make scaling, dry skin and redness worse. Imagine that our product is made with ingredients that you have never heard of or tried. 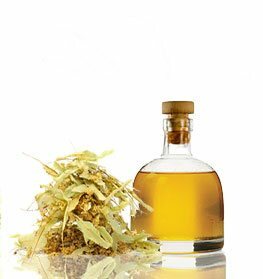 Ingredients that have unique and powerful compounds. Exclusive formula of nutritive ingredients makes this serum ideal to help alleviate the symptoms associated with red, dry, scaly, and itchy skin. This concentrated, moisturizing, fast-absorbing formula helps soften and soothe severely dry, irritated skin. Enhanced with natural wonders like Foraha, which has an anti-inflammatory agent called calophyllolide, with Andiroba, which is anti-bacterial and used to improve many skin conditions. Helps soften the thickest dry skin or scales and soothe, cracked or parched skin with vitamin-rich emollients for skin that you will be proud to show off. I have tried so many over-the-counter and prescription psoriasis products. This has delivered the BEST results of anything that I tried before. I put it on the affected area every night before bed and then in the morning. My psoriasis has gone from white flakey scales to my normal looking skin and is now smooth to the touch. My best advice would be to use it regularly until each spot is fully gone. This product works! So, so happy. Helps alleviate symptoms of inflamed skin with wholesome ingredients that soothe and calm. Karanja and Sea Buckthorn and so many others in this product are vitamin-rich long-lasting moisturizers. Gentle, non-greasy and absorbs quickly into your skin. I've been using this serum for about a month now and my psoriasis has completely cleared up! No more red, scaly dry patches on my legs anymore. I was so embarrassed and stopped wearing anything that would reveal the patches on my legs. I tried every type of psoriasis and eczema product, including scrubs and nothing seemed to get rid of the red patches. In my search for something that was more natural and without medications I found this, and I am so grateful that I did! I'm beyond amazed at how this works. I also use the soften body soap to wash with. Give this a try and hopefully it will work for you too. This stuff is almost magical, and I am so happy. I have been struggling with flaking mostly on my knees and elbows. I have tried cortisone, tar, sal acid, shea butter, black soap, coffee scrubs, if its out there I probably tried it. I have only been using this product for a week now and no scaling and I see my skin starting to clear and heal itself. I strongly recommend trying this product. 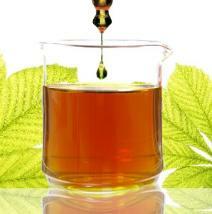 Sea Buckthorn Oil has rejuvenating properties, which heal the skin from any damage. Karanja and Sea Buckthorn oil are vitamin rich, long-lasting moisturizers. Nutritively scented with Orange Peel, Birch, and Helichrysum essential oils to stimulate the senses. During the day, apply as needed. Apply generously at night, massaging gently over skin. • Apply this product to damp skin. • You can use our Soften Soap or Soften Vinegar Body Rinse Cleanser. • Moisturize skin with our Soften Cream. Calophyllum Inophyllum (Foraha) Oil, Carapa Guianensis (Andiroba) Oil, Pongamia Glabra (Karanja Seed) Oil, Hippophae Rhamnoides (Sea Buckthorn) Oil, Azadirachta Indica (Neem) Oil, Ribes Nigrum (Black Currant Seed) Oil, Leptospermum Scoparium (Manuka) Oil, Daucus Carota (Carrot Seed) Oil, Origanum Vulgare (Oregano) Oil, Rosa Rubiginosa (Rosehip) Oil, Borago Officinalis (Borage) Oil, Persea Americana (Avocado) Oil, Simmondsia Chinensis (Jojoba) Oil, Squalane (Olive) Oil, Citrus Sinensis (Orange) Peel Oil, Betula Lenta (Birch) Oil, Helichrysum Gymnocephalum (Helichrysum) Oil, Tocopherol(Vitamin E). I am a 19 year sufferer of psoriasis. I have tried just about every form of treatment, including topical steroids, light treatment, Humia, Enbrel, Stellara, Methotrexate (often used to treat cancer), but until recently, I have never found a treatment that yielded the results I was seeking. I am sending this letter to say, “Thank you Just Natural Skin and Hair for developing nutritive products that work on my psoriasis”. I have started living a healthier lifestyle (eating more fruits and vegetables, eating less bread and meat, exercising more, taking probiotics and drinking water). When I combined these changes with your products I have seen amazing results. My regime: Vinegar rinse and cream in the morning and vinegar rinse and serum in the evening. I still have spots pop-up occasionally, but I increase my usage of your product to three times a day and it isn’t long before my skin is smooth again. Thanks again. I was skeptical at first about purchasing this serum. But it is great, absorbs fast and saw an improvement within days. This is wonderful works very well cleared up my elbows. Red, itchy, bumpy and sore areas on my arm calmed down. The redness dissipated and disappeared within three days. I say "WOW". It was almost miraculous that the psoriasis just responded to the application of it instantaneously. It's the most amazing product. I needed something "different' from what I was using. I was hesitant about using oil but I decided to try it. Well, I used this product for a few days and the dry itching and flaky skin are almost gone! After a month, it has succeeded in doing something that no other product in this world has done for my psoriasis... it has taken away all of the little red bumps I have on my legs and upper arms. Simply a miracle!